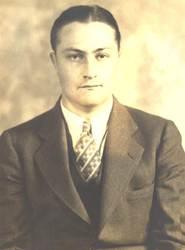 Prohibition Agent Linsly Bulnes was traveling to Howe's Cave, NY, to continue an investigation after having been on duty most of the previous 24-hours. As he drove west on the Western Turnpike, his car swerved to the right onto the soft shoulder of the roadway, struck a tree and turned over. Agent Bulnes suffered severe injuries and was pronounced dead at the scene by a doctor from Schenectady Hospital. 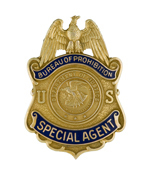 Agent Bulnes joined the Bureau of Prohibition on June 22, 1931, and was assigned to the Syracuse, NY, field office. He carried badge #2064. Previously, he served in the U.S. Navy from 1920-1921. Agent Bulnes was born in New York, NY. He was survived by his wife and three children, William, Linsly and Lorelei.